Posted on September 25, 2016 by Tom Richardson Posted in Cell phone & Computer Monitoring Reviews . A number of spy apps on the market continuously increases. Today we’re speaking about Android and iPhone compatible app allowing you to be aware of all things happening on your mobile device through a simple web interface. This tracking app will give you a chance to control not only your personal portable mobile device, but also the one your kid’s using. OwnSpy software was created by Mobile Innovations – a Spanish company with more than 15 years of experience. Trusted by thousands of clients from all over the world it’s ready to produce sensible business and everyday life solutions. Slight differences are possible depending on the mobile platform you’re using. Keep in mind, that iOS devices need jailbreaking before using tracking apps on them. Getting access to all types of short text messages. Supervising them will leave your kids safe, cause texting is the main part of mobile communication. Having an extra copy of one will be a sensible solution if you’re afraid to lose your device all along with your vital personal data. You’ll also be aware of each and every new entry in your kid’s address book. Following all incoming and outcoming activity on the target device will help you understand what’s going on in life of your kids. You’ll have your personal copy of call history that can be accessed through your personal web panel. Installation requires direct contact with the device for a short period of time. However, uninstallation is possible through the control panel. You should remember, that if you decide to start tracking the device again, you’ll have to pass through the process of direct installation one more time. Every website visited will be automatically registered in OwnSpy tracking system. This option will make you feel confident that you kids are on the safe side of World Wide Web. One of the most popular instant messengers at the moment. Can easily be accessed by fraud of every kind. If you want your kids to be protected from cheaters and criminal minds, you’ll be pleased to have this option. It’s possible to turn on the microphone remotely in order to listen to the surroundings. It doesn’t only track your kids’ activity, but also helps to find your phone if you’ve lost or simply misplaced it somewhere. Kids always share pics with each other sending them through instant messengers. If you’ve got control of data sent, you’ll be sure you kid isn’t sharing vital and personal family things with strangers. All of the pictures taken will be automatically uploaded into your personal OwnSpy monitoring account. Allows you to keep track of apps usage on the target device. It’s helpful in controlling your kids’ time if you want to make sure they aren’t wasting it. All the data saved on the mobile device will be uploaded to your personal cloud folder even if it was immediately deleted from the phone. More iOS instant messengers that can be tracked by OwnSpy. You’ll be able to record conversations from certain numbers or absolutely all calls made. But before you start recording calls, make sure that what you’re doing is legal. With OwnSpy spyware you’ll have a chance to restore your mail of accidentally deleted. Every single keystroke of the keyboard is saved into the control panel. All typed text will be controlled. Mobile Innovations feels concerned about what customers think. OwnSpy tracker cares about privacy, that’s why all the data sent from the mobile device into the web panel is encrypted. Unencrypting is possible with your password only. You can try a free version for a week. It’s rather restricted, but it will be enough for you to understand how it actually works. For the full list of options and pricing get to the official resource. 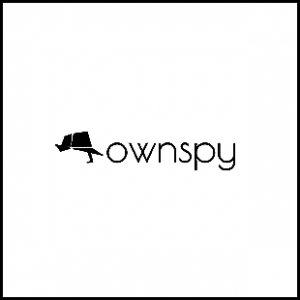 OwnSpy monitoring app is compatible with both iOS and Android devices. iPhones require preliminary jailbreaking. Some of OwnSpy’s options demand Android rooting. That’s a new app and it’s got faults of course. The app eats the battery while recording calls. There’s no automatic refresh for the data and on some devices it’s visible in the App Manager. OwnSpy phone spy app is in the state of active development and every new update will make it significantly better. It has a free version to try which gives you a chance to understand whether you need it or not.